At Zephyr and Stone, we are advocates of investing in quality rather than quantity - and treasuring those items we choose to adorn our homes with. So when we saw the Iconic Jewellery Boxes by Exclaimed Kate, it was love at first sight. The Jewellery Boxes evolved from a gift Kate’s husband designed for her. Kate knew that others would love it as much as she did, so after months of refinement, the Iconic Jewellery Box was launched as the first style in the Exclaimed Kate range. “After seeing it for the first time, it was the weight and unique nature of this gift that was something so special. The seamless quality feels so great in your hands and the polished semi-precious stone is stunning and cool to touch. It’s just as beautiful and considered as the things it would contain” explained Kate. 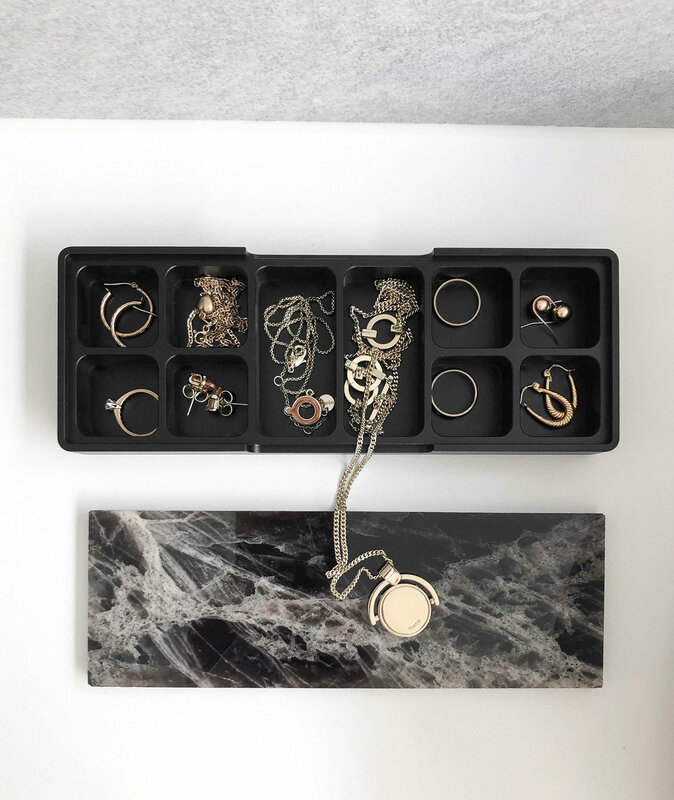 The brand celebrates the ritual of choosing, wearing and storing your fine jewellery pieces, and has plans for further styles to be released in the future. 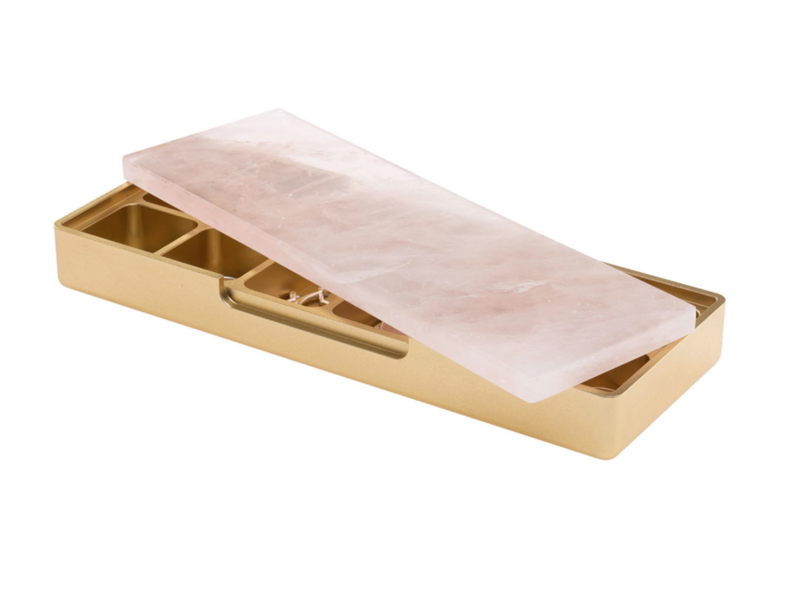 The jewellery boxes come in two equally stunning finishes, Gold and Rose Quartz and Black and Smoky Quartz. The bases are high precision machined, meaning they have no material joins. This results in a seamless finish for the ultimate in refined luxury. The crystal quartz lids are hand-finished and beautifully polished. Being a natural quarried stone, each solid crystal piece is as unique as its owner. The varying vein patterns and mineral deposits make each piece individual and an object of unique natural beauty. Our stunning jewellery boxes came beautifully wrapped, and unwrapping them was a pleasure. Each piece was weighty and the quality was evident in the materials and finish. They are not only beautiful, but an absolute experience to use and hold. In a world of cheap replicas and mass production it is refreshing to find original designs where quality and luxury have not been overlooked, but celebrated. 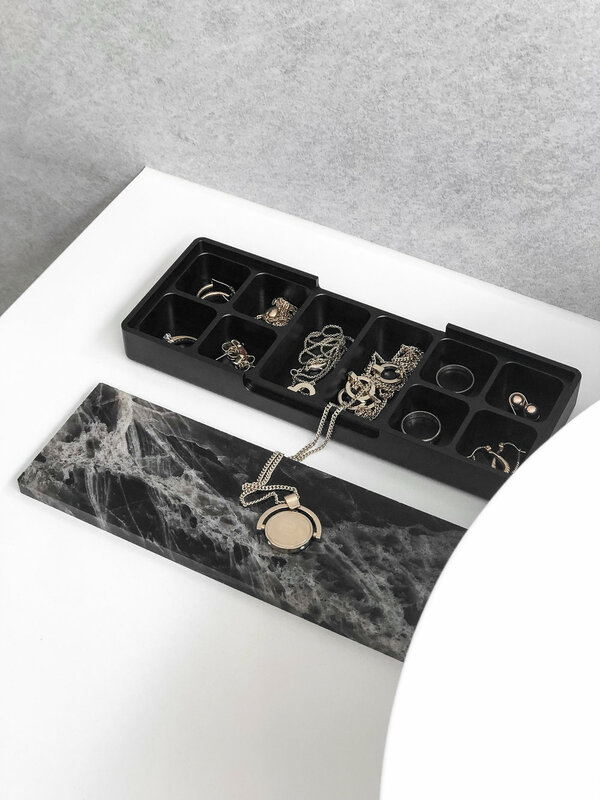 The Iconic Jewellery Boxes are the ultimate unique gift to store treasured jewellery or keepsakes, and take pride of place on your dressing table or bedside for years to come. Love Exclaimed Kate’s Iconic Jewellery boxes as much as us?